Glasses and contacts can help you see, but they can also be a huge hassle. Imagine how your life would improve if you suddenly had crystal clear vision and didn’t need corrective lenses. 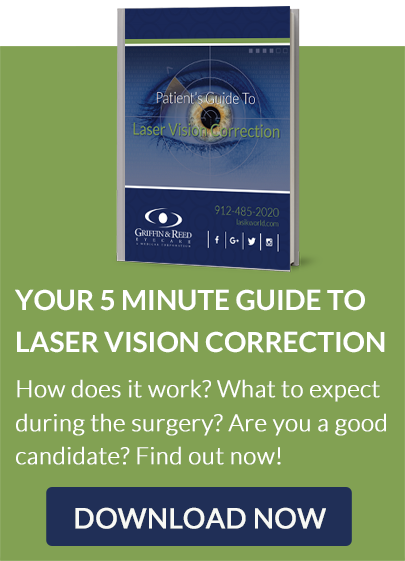 Now stop imagining, because you may be a candidate for LASIK. LASIK stands for “laser-assisted in situ keratomileusis." It is the most advanced — and most commonly performed — type of laser eye surgery. This safe and effective procedure can permanently treat common refractive disorders like myopia (nearsightedness), hyperopia (farsightedness), and astigmatism in minutes. Are you ready to start seeing clearly? 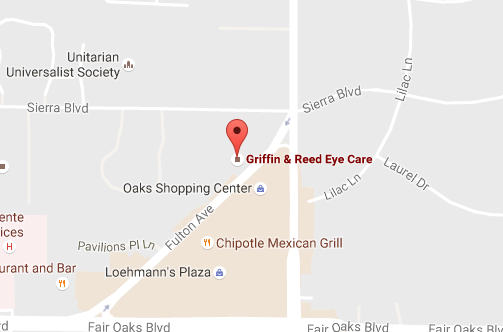 Contact Griffin & Reed Eye Care at 916-485-2020 to schedule your complimentary LASIK consultation. We happily welcome patients from all parts of Northern California at our Sacramento and Roseville locations. At Griffin & Reed Eye Care, we are proud to be the Home of 20/20 Vision From Your LASIK Surgery Or Your Money Back. We are so confident in our ability to deliver the results our patients desire that we are the first and the only LASIK providers in Northern California to make this offer. Most patients qualify for this program. Typically, light rays enter your eye and are bent so that they can focus on your retina, creating a clear image. However, if your cornea is slightly misshapen, the light rays are not bent correctly. This often results in blurry vision. During the LASIK procedure, a temporary “flap” is created on the surface of your cornea. Then, precise laser energy is applied to the underlying tissue to reshape your cornea and improve your vision. The flap is then placed back in position, where it works like a natural “bandage” to accelerate healing without stitches. However, a thorough eye exam is necessary to confirm your candidacy. After asking you a series of questions about your lifestyle, including work and leisure vision requirements, your eye surgeon will discuss options and recommendations for your LASIK surgery. The best way to find out if you are a candidate for LASIK is by scheduling a complimentary, no pressure consultation at our office. During your LASIK evaluation, one of our LASIK surgeons will go over the procedure step by step so you know exactly what to expect. You'll have the opportunity to ask questions, review results and testimonials, and go over the risks and benefits of the procedure. We use state-of-the-art equipment during this — and every — phase of your LASIK journey. One advanced piece of equipment that we use is a diagnostic tool called the Pentacam. It collects up to 25,000 data points in a 2-second scan and creates a 3D model for your surgeon to analyze. This allows us to have a precise elevation map of the surface of your cornea and helps us provide the most accurate diagnosis for your treatment. Most importantly, the recommendations we make for laser vision correction will be as safe as possible. Please anticipate spending two to three hours at our office for this visit. We are very thorough in gathering the information needed to treat your vision correction with the care it deserves. Check out our informative LASIK videos! The LASIK procedure usually takes less than 15 minutes to perform, with the actual laser time averaging less than one minute per eye! To maximize your safety and your visual outcome, we only use the best-possible equipment during your surgery. LASIK should not cause you any pain. Numbing eye drops will block any uncomfortable sensations, and you will be given a mild sedative so that, although you are awake, you won't feel anything. And you don’t need to worry about blinking during the procedure, because a gentle retainer will help keep your eye open. Creating the flap: To begin the surgery, your LASIK surgeon will create a thin corneal flap by using the Ziemer Z4 Femtosecond Laser, the most advanced option available. This portion of the operation takes about 12 seconds. Reshaping the cornea: The flap is then temporarily lifted back so that computer-controlled pulses of cool laser light can gently reshape the inner cornea, based on your unique corneal map. Our state-of-the-art Alcon WaveLight® EX500 Excimer Laser removes an incredibly small amount of corneal tissue – typically less than the thickness of a human hair. This laser provides patients with faster and safer treatment as well as an improved visual outcome. Putting the flap back in place: The flap is then placed back into its original position. After the LASIK procedure, light rays focus more precisely on the retina, improving your vision. Following your LASIK procedure, you may experience mild burning sensations, watery eyes, light sensitivity, and irritation. Patients should go home and take a nap or close their eyes to help minimize any discomfort. You will need a ride home from your surgery. Each patient heals at a different rate, but the average healing time is 1-2 days. Most people can return to work the next day. Our doctors will see you within 24 hours and for several scheduled visits during the one year post-operative care period. We are proud to say that we offer some of the best LASIK results in the industry. In fact, 98% of our patients achieve 20/20 vision — or at least 20/25 vision — after their initial surgery. Thanks to factors such as our proprietary method of laser programming and our comprehensive data evaluation, you have a very high probability of achieving amazing results at our practice. View video testimonials from our satisfied patients. No two eyes or patients have the same unique imperfections in the way our eyes bend light. That is why these unique imperfections, or Wavefront abnormalities, have come to define what we call the “fingerprint” of your eye. Wavefront Optimized® treatment allows us to not only treat the things glasses and contact lenses correct but also to customize your treatment for these unique abnormalities. Every patient we see undergoes a Wavefront analysis. We then carefully evaluate the type and amount of these imperfections with each patient and make recommendations regarding treatment options. At Griffin and Reed Eye Care, we use extensive tracking data from thousands of LASIK cases, not the “plug and play” method, to customize your treatment, and we include Wavefront technology for every laser vision correction procedure to ensure you get the most predictable results. We cover a wide range of LASIK topics over on our blog! 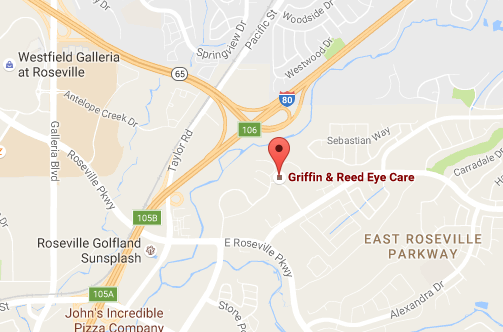 At Griffin & Reed Eye Care, we only conduct LASIK surgery one way – the best way. That means we only use the technology and procedures that allow us to offer our patients the highest level of safety and the most predictable results. That is why we only offer blade-free, all-laser LASIK. Historically, conventional LASIK used a mechanical bladed instrument (microkeratome) to create the corneal flap in LASIK surgery, and many providers still use this method due to the expense of newer technology. Today, blade-free, all-laser LASIK has replaced older mechanical technology and uses a laser to create the temporary corneal flap. Our doctors have a deep commitment to patient safety. When you're dealing with something as important as vision, you don't want to take any chances. Our doctors are confident in their skills and surgical abilities, but using the right technology can significantly reduce the risks involved. If we used the next-best instruments, we could save potentially tens of thousands of dollars per year. However, by using the next-best instrument, we would increase our patients’ risks. Some instruments may malfunction as often as 1 in 200 treatments due to design or engineering flaws. A failure could be just a minor problem or a blinding complication. We find this to be unacceptable. We continually evaluate new technology options, but we haven’t found anything better than what we are currently using. Our equipment is continually calibrated to ensure the best possible outcome for our patients. We do not reuse materials on multiple patients to save money as some centers in our area have been reported to do in local publications. There is a definite difference in LASIK technology that can make a big impact on your outcomes and experience. We encourage patients to thoroughly understand those differences. Like all surgical procedures, LASIK does carry some risk, including infection that might damage your cornea or result in some vision loss. However, we want to emphasize that LASIK is approved by the FDA and is one of the most common and most safe procedures in the medical field, and complications are rare. During your evaluation with our skilled eye surgeons, you will be provided with a document called Informed Consent, outlining the potential risks and complications of your LASIK surgery. Griffin & Reed Eye Care has been serving Northern California since 1974, and many tens of thousands of patients have trusted their eyes to our LASIK experts. Surgical skill is a key factor in achieving the best results, and the experience and success of the surgeons at Griffin & Reed Eye Care are unsurpassed. Our Laser Vision Correction procedures are performed within our state-of-the-art facility in a sterile environment. The safety of our patients is the most important aspect of what we do. We follow a very strict protocol in order to ensure the safety and health of each patient that enters our doors. From wall to wall sterilization to immaculate equipment and supplies, our doctors and staff do whatever they can to minimize the risks of infection and promote the awareness of safety throughout the office. In addition to a strict adherence to health codes, making sure we use only the latest, most accurate technology provides little room for error and greater opportunities for perfect vision. We invite you to read Why We Are Clearly Different to learn more about our office and our approach to your vision care. We decided it was time to put our money where our mouth is and set a new standard. We too were tired of the hype and claims of many in our industry and decided to do something about it. For additional information on our 20/20 Vision From Your LASIK Surgery Or Your Money Back program, please contact us. We don't offer games or gimmicks nor do we participate in bait and switch methods of other laser vision correction providers. We truly desire to offer our patients the absolute best possible experience. Discover how LASIK can bring your world into focus. If you are considering LASIK, call Griffin & Reed Eye Care at 916-485-2020 or book an evaluation online! We welcome patients throughout the Sacramento and Roseville area.